With those words, the Belize Tourism Board announced the 15th annual Belize Tourism Lifetime Achievement Award at the annual Belize Tourism Industry Awards. And when we heard that Chaa Creek’s founding owners Mick and Lucy Fleming were to be honored with this prestigious award, our ears picked up. While Chaa Creek is no stranger to global awards and recognition – with this year’s National Geographic World Legacy Award being a recent case in point – a Lifetime Achievement Award conferred upon you by your peers must be particularly satisfying. For many years now, we’ve known of the Flemings’ contributions to tourism and the environmental and social wellbeing of Belize. Their tireless devotion to the country and local communities is the stuff of legend, and while we’re not surprised, many of us were still elated to hear the news. It’s one thing to have spent much of your life working to put Belize on the map, and still, another to be wildly successful at it. But to accomplish all this while maintaining a strong commitment to sustainable tourism and responsible travel – that’s an achievement of a lifetime. What also makes this new award so fitting and proper is the fact that, since making Belize their home in the 1970s, Mick and Lucy’s personal evolution has mirrored their adopted home’s. Back then, Belize was primarily an agricultural country, and the Flemings were farmers. 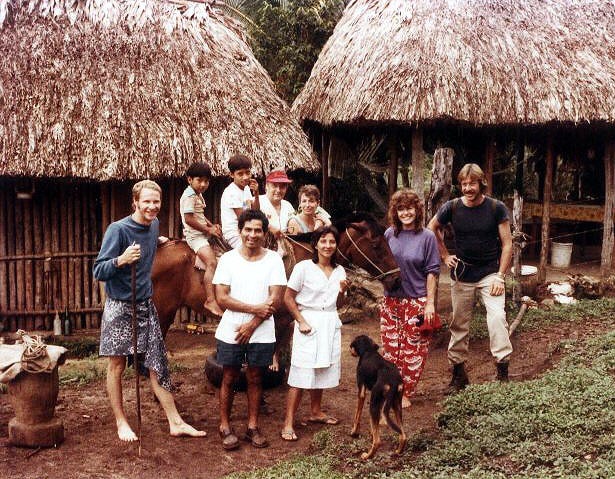 When Belize achieved independence in 1981, the couple built a couple rudimentary cabins on their property, and both Chaa Creek and Belize began new lives in welcoming international tourists. How two of Belize’s most ardent environmentalists managed to turn a small overgrown citrus farm on the banks of the Macal River into an oasis of luxury, adventure, and education, with world-class amenities such as a spa and exquisite farm-to-table dining is a story in itself. 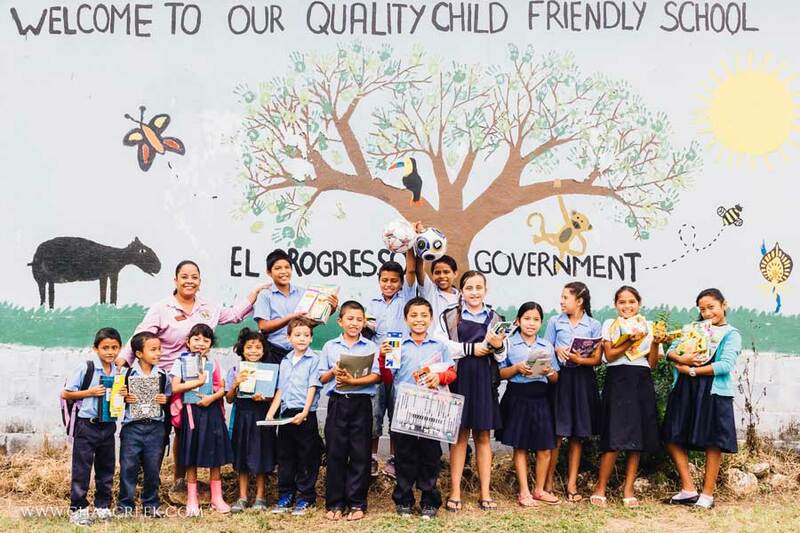 But the fact that they accomplished all this in such a way that Belize’s environment and local communities actually benefitted from their success is…well…extraordinary. And their success extends well beyond the borders of Chaa Creek’s 400-acre private nature reserve. They’ve spread their Green philosophy throughout the region by proving that being environmentally and people-friendly can go hand-in-hand with success, and there’s no doubt that since 1981 the Flemings’ version of ethical, green development has been a model for other businesses in the region. That’s a legacy anyone would be proud of. In accepting the Lifetime Achievement Award, despite the room being filled with the thunderous applause of hundreds of people, the Flemings were characteristically low-key and humble, giving the local communities, neighbors and their staff the lion’s share of credit. “My heart is filled with gratitude, my heart is filled with love. We want to thank all the talented Belizeans who shared their skills, ideas, hard work and toil to achieve this lifetime recognition with us. Without them Chaa Creek would simply not exist because they are truly our life’s blood, our heart, and soul,” Lucy said. “We wouldn’t be here without the community,” Mick agreed. He also praised the assistance, suggestions, talent and hard work their neighbors and local people put into helping the Flemings realize their dream. Two young adventurers landed in Belize back when most of the world knew it as British Honduras – if they knew about it at all. Instead of going out to the cayes like most visitors, they went inland, fell in love with the jungle and independent-minded people who lived there, and decided to stay. “This feels like a place where we want to be,” they remember thinking. Discovering a disused citrus orchard on the banks of the Macal River, accessible only by canoe, hiking or horseback, they fixed up the tiny old house on the property and began planting watermelons and other crops to bring to the Saturday markets along Lucy’s homemade yoghurt, bit by bit improving the land as they went. Word spread along the “coconut telegraph” that if you could find your way to Chaa Creek (no mean feat in those days) a certain hospitable couple would give you a place to sleep and a plate of food. More and more people began arriving, necessitating the construction of first one, and then two thatched roofed cabins, and to feed the growing number of arrivals, the Flemings began charging BZ$8.00 (USD$4.00) a night for room and rice and beans. “Chaa Creek Cottages” was born. Back in 1981, no one could have predicted that Chaa Creek would grow from a simple farm to one of the region’s most highly regarded eco-resorts, with a wide range of eco-luxe accommodations and first-class amenities nestled within a private 400-acre nature reserve. And no one honestly expected that little Belize would become the world’s next “must visit” tourism destination. But Chaa Creek and Belize did just that. And while they won’t admit it, much of the credit for those successes must go to Mick and Lucy Fleming’s vision, commitment, and the drive to realize a dream – a dream that they’ve shared with countless people. And now that lifetime of achievement has been recognized and honored by the people who matter the most to the Flemings – their fellow Belizeans. As National Geographic editor Costas Christ put it, “Locals remain at the center of the Fleming’s life and work – they have employed more than 160 villages and fund community projects from a mobile science lab for school children to hospitality training courses and educational scholarships. For more information on Belize, and travel news hit subscribe! I remember that first little hut way back in 1977 and your enthusiasm for the ‘simple’ life. Ha!